Reaching out to the Flagstaff area community, this committee solicits proposals from Beacon members to support local non-profit groups and activities. Undesignated contributions to each month’s first four Sunday service offerings above $300 (which goes to Beacon’s operational budget) will be presented to the non-profit chosen by the Social Action Team, based on proposals submitted by the congregation. 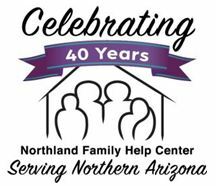 Northland Family Help Center (NFHC), whose mission is to provide safe haven, advocacy, counseling, and education to promote and restore healthy relationships, provides Domestic Violence Shelter and a Youth Shelter with many services. They provide Legal Advocacy services to women fleeing intimate violence and out-patient professional counseling services for eligible individuals. The mission of Literacy Volunteers of Coconino County is to increase the basic English language and literacy skills of adults, teens, and families in order to improve the quality of personal, economic and community life for all. Programs offer one-to-one tutoring, drop-in tutoring, classes at the center and in the community, and Partnership for Literacy Rehabilitation (jail program). The Center serves 250-300 adults, teens, and families. 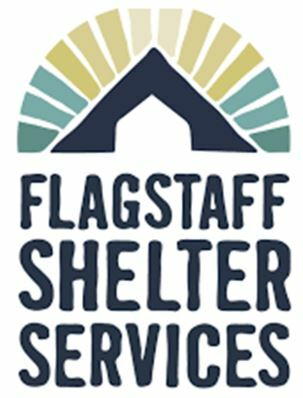 Flagstaff Shelter Services (FSS). Established in 2006 by concerned citizens, business owners, and faith-based organizations, FSS provides critical shelter, food, and access to resources for Flagstaff’s most vulnerable people. Regardless of faith, mental health or sobriety, the shelter serves any adult experiencing homelessness. Sun Sounds bridges the information gap between current print media and people who cannot use it because of a disability. Mission: Sun Sounds of Arizona provides audio access to information to people who cannot read print because they have a disability. Poore Medical Clinic: The Poore Medical Clinic is a community-based and community-supported free medical and dental clinic. 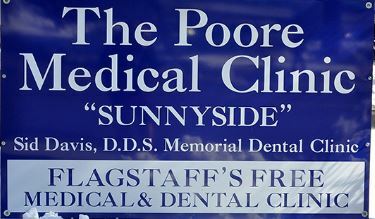 Our mission is to increase the availability of healthcare by providing free medical and dental care to low income, uninsured individuals and families living in Coconino County. 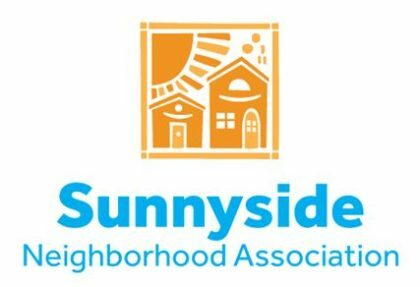 Sunnyside Neighborhood Association of Flagstaff (FB): The neighborhood is composed of 1,766 households, which has as its mission to enrich the lives of the citizens by mobilizing residents to create continual improvement in neighborhood conditions. They have taken charge of their daily lives through grassroots programs in education, redevelopment, job creation and cultural revitalization. Housing Solutions of Northern Arizona & Sharon Manor. This organization helps homeless victims of violence and their children on their journey out of violence and poverty and into economic independence, safety, health, and self-sufficiency. Flagstaff Family Food Center: Serving hope to Flagstaff families by providing hunger relief and children’s literacy programs. Northern Arizona Interfaith Council: NAIC and NAICL work to build leadership for civic participation across lines of race, class, age, and religion and organize for issues that advance the common good. 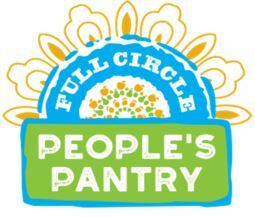 Full Circle People’s Pantry: “Flagstaff, poverty with a view.” We all smiled the first time we heard this. The truth is it can be hard to make ends meet for many of our neighbors. And if we are honest with ourselves, we realize but for the grace of God it could be us. For the last two plus decades we have tried to do somethings to help. 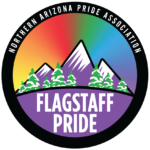 Northern Arizona Pride Association: Northern Arizona Pride Association’s mission is to educate, celebrate and increase acceptance and awareness of the lesbian, gay, bisexual and transgender (LGBTQ) community of Flagstaff and northern Arizona. JLB Project: The mission of JLB Project is to make the journey easier for families who have lost a baby due to miscarriage, stillbirth, SIDS, or other infant death through bereavement services, supportive care, and education.